Every woman aspires to look attractive at any time of day, whether it is a weekday or an important meeting or a party, and some times it spend a lot of time and money. Knowing the basics of how best to teach yourself, every woman will always be a force to be feminine and desirable. An important part of the secret of female attraction is the ability to make beautiful makeup, corresponding to the specific case. To be able to do daily make-up is just as important, than, if it was designed for the occasion,. In order to be able to correctly apply it do not need to possess any special skills and special courses to graduate, it is only necessary to know the most elementary rules and secrets. The best make-up for each day has always been a natural and not too fussy, but only emphasizes all the advantages and hide flaws. For daytime make-up is commonly used is the minimum amount of makeup. Firstly, to drop his skin tone, unless it is needed, face superimposed tonal basis. Then you can fix the tone powder and apply blusher. Choose foundation is necessary in accordance with the skin tone. If you want to hide the bruises, redness or other minor errors, instead of the foundation is better to use a proofreader. Corrector applied exclusively to the problem area, without violating its border, otherwise the desired effect will not be from him. Apply concealer or powder must be even and thin layer, so that the facial skin look natural. 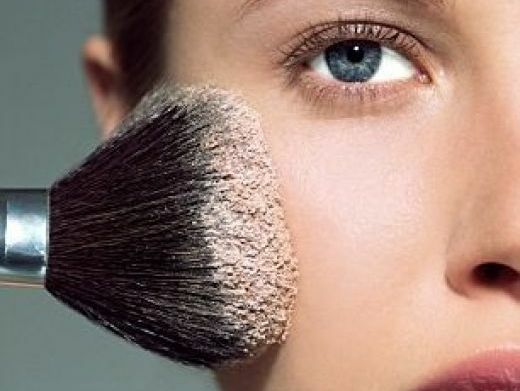 In order to get rid of oily sheen on the skin make-up powder is added, which is also not necessary to put in large amounts. In the hot season creams to use is not recommended. Correctly applying blush give the face a healthy look. They are applied with a special brush on the cheeks. Owners of very light skin is better to take for himself a pale peach or pink blush, and for more dark skin suit beige shades. 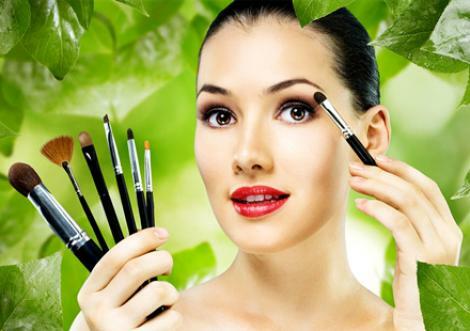 Eye makeup plays a very important role in general to create images. It helps to give your eyes and look more expressive. 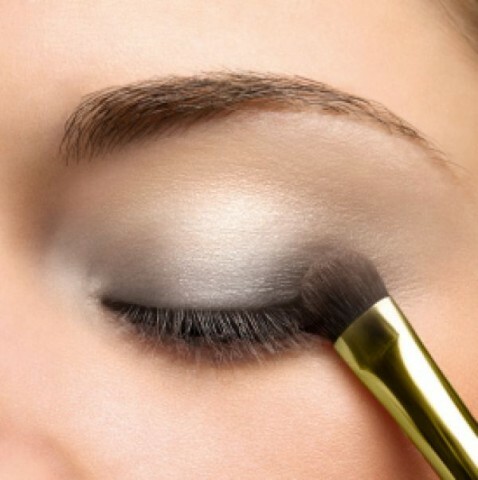 It is therefore important to know how to make a beautiful eye makeup. With the help of corrective pencil masked by dark circles under the eyes or bruises, Of course if there are any. For this concealer in a small amount is applied to the area under the eyes and lightly shaded pad anonymous or index finger, starting from the inner corner to the outer. Eyebrows are supplied in gray or brown pencil jerky slightly visible lines. When applying makeup day leading make-up artists are not too bright eye shadow is recommended. Before applying the shadow, so that they went beautifully and evenly, forever as a special basis is applied. Then superimposed themselves shade and only on the upper eyelid. For everyday makeup is better to use more quiet shades of pastel colors and not too bright mascara. Color mascara is necessary to take a darker tone, than color eyelashes. almond-shaped eyes. 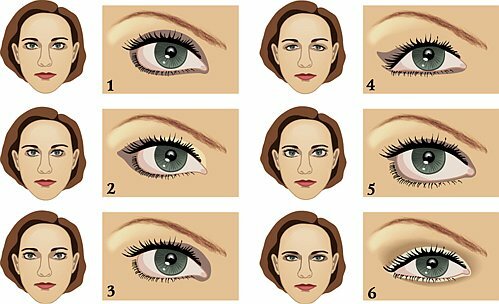 This form is considered an ideal eye, so any type of makeup is suitable for her. Dlaza, lowered to the bottom. This form requires visually slightly raise the corner. In this case, the eyeliner is applied closer to the upper border of cilia, and the shadows do not overlap in the corner of the century, and distributed to the rest of its parts. If the eyes are too close together, then applied to the outer corners of dark shadows, but on the inside – light. If the eyes are deep set, the light shades are used for rolling century, and from its border closer to his eyebrows dark, so that the boundary between them was not visible. For the eyes of small size using different light colors, and owners of large eyes, you can use any colors, even the darkest. Superimposed tonal basis, that lipstick is flat. Outlines lip line using a contour pencil, whose color must always match the lipstick and be one tone higher. Very important, circuit to have clear and straight line, If desired, it can be a little shade. With the help of contour pencil is possible to slightly adjust the size of the lips. Thin lips visually increase in volume, if you draw a line just above their natural boundaries, and reduced sponge, if the circuit drawn below. 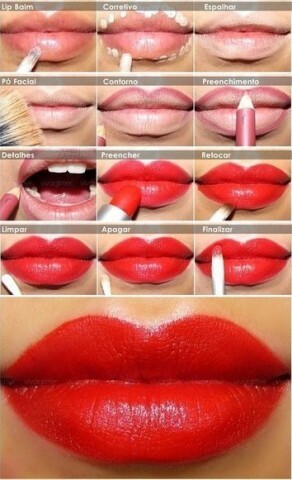 Lipstick is applied in two layers, and it is better to leave with a special brush. Application is carried out from the middle of the lip towards its edge. After applying the first layer of cloth lipstick promakivat, then for greater stability on the lips is applied a little powder, and then a second layer of lipstick. It is also important not to make a mistake when choosing the color of lipstick. So, eg, for those, who have lighter skin is better to buy light shades, and a dark skin suit and darker colors. For daytime make-up in any case, do not overdo it with too-bright shades of lipstick, better to the lips look more natural, for this, eg, you can simply use glitter. Having mastered all the basic foundations of how to properly apply makeup and cleverly hide their shortcomings, turning them into advantages, you can make your look even brighter and more irresistible.